Come celebrate our 4th year anniversary at Pulse Taekwondo! 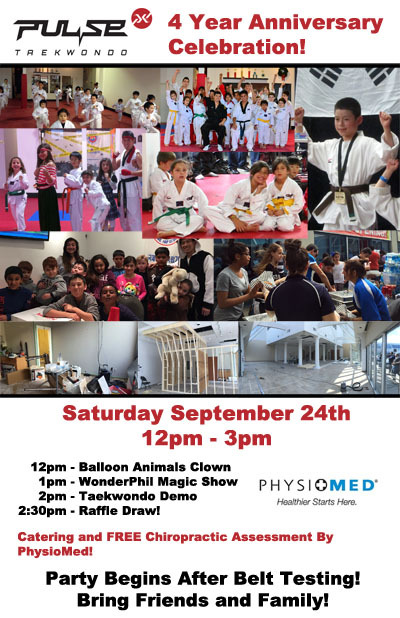 We got clowns, magicians, Taekwondo demo, raffles, catering and even free on the spot Chiropractic assessment by PhysioMed! Starting at 12pm – 3pm! See you all there!